If you are looking for hand painted poster artist, contact us on mobile no : +919022034923 or email us on : bollywoodpostersstudio@gmail.com . You can visit at Custom bollywood poster india , bollywood posters studio, www.bollywoodpostersstudio.com . Custom bollywood poster is the great and unique idea for wedding ,sangeet and party back ground.Custom bollywood shaad’s poster is the perfect wedding gift you can give to your dear one. You can also create save the date cards to invite you friend and relatives . You can also invite and inform about you wedding to you love ones, relatives and friends who are far away or in abroad by uploading image on face book , whatsapp or other social media. You can become star of your favourite bollywood movie by creating your own custom bollywood poster. You can also gift custom bollywood poster to your dear ones and friends at their anniversary, birthday , marraige, etc. You can create your custom bollywood shaadi’s poster by sending your simple photos to bollywood posters studio and we will convert it into beautifull hand painted custom bollywood poster. And this amazing and wonderful idea will be in the memory of your relatives and friends forever. Order today your very own customize bollywood shaadi’s posters products today at Bollywood posters studio . You just need to send photos click in high resolution and send it to us at bollywoodpostersstudio@gmail.com . To capute your precious moment on canvas beautifully by our old Indian cinema artist of mumbai ,India can make exclusive. Custom bollywood poster gifts can be treasured for lifetime. Indian posters movie artist of Bollywood film cimema has made come back with new version and ideas to explore the hand painted art of Indian cinema hand painted Bollywood film poster through custom hand painted Bollywood movie posters just at Bollywood posters studio mumbai, India. Bollywood posters studio is specialist in Bespoke bollywood movie posters, bespoke bollywood posters, custom made hollywood movie posters, custom made hindi film posters, custom made bollywood movie posters, custom made hindi movie posters, custom made film posters, custom bollywood wedding posters, custom hollywood movie hand painted posters, custom horror movie poster, customized movie posters, customized bollywood film posters, customized bollywood movie poster, custom poster, customized poster, bollywood themed wedding invitation, hindi movie posters themed wedding cards, bollywood style save the date cards, bollyood themed invitation card, bollywood style wedding cards, personalized movie posters, add my face in bollywood movie poster, custom bollyood movie posters, design custom bollywood movie posters, create custom bollywood movie poster,bollywood themed party decoration and banner, bollywood themed stage backdrop , bollywood style events backdrop decoration, bollywood themed mandap backdrop for wedding and parties,custom painted movie posters, put my photo in film poster , add my face in my favovrite movie poster, add my face with my favourite bollywood star movie, make my own bollywood poster, make your own back themed poster, etc. 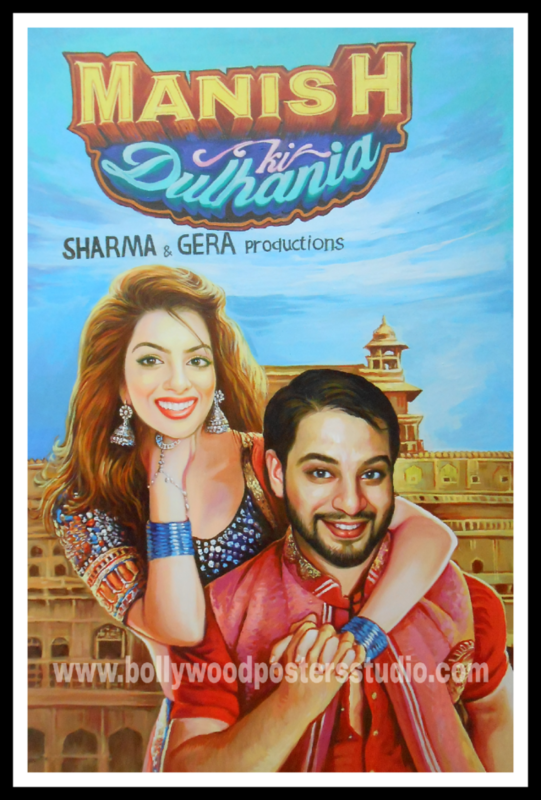 Create the magic of Bollywood on canvas by commissioning your very own Custom Bollywood poster by our best hand painted poster artist . Don’t think just go for it.